Son Goku is a fictional character and the main protagonist of the Dragon Ball franchise created by Akira Toriyama. He is loosely based on Sun Wukong, a central character in Journey to the West. However, Toriyama changed some of his characteristics to be more original. 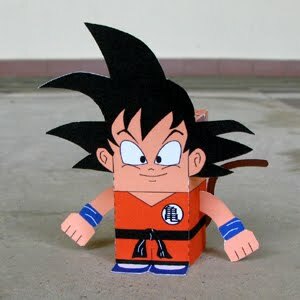 Goku is introduced as an odd, monkey-tailed boy who practices martial arts and possesses superhuman strength. As the story unfolds, he is actually revealed to be from a fictional race of extraterrestrials called Saiyans, said to be the strongest warriors within the fictional universe. 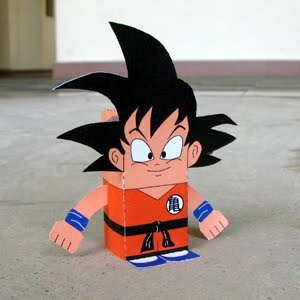 Download the PDF file here and make your own Goku toy!